French and Malian troops killed or captured more than 30 extremists and dismantled a jihadist training camp during a major counter-terrorism operation near Mali’s border with Burkina Faso, the French military told AFP on Friday. The operation is the first since French forces set up a base south of the bend of the Niger River, building an advance position outside the town of Gossi in the heart of the restive Gourma region. “Over 30 members of armed terrorist groups were neutralized,” the military said, a term meaning that they were killed or captured. A French military doctor was also killed during the operation, the military previously reported. The operation, lasting about 10 days, was launched in late March in Gourma, a crossroads region in Mali’s central belt that flanks the border with Burkina Faso. 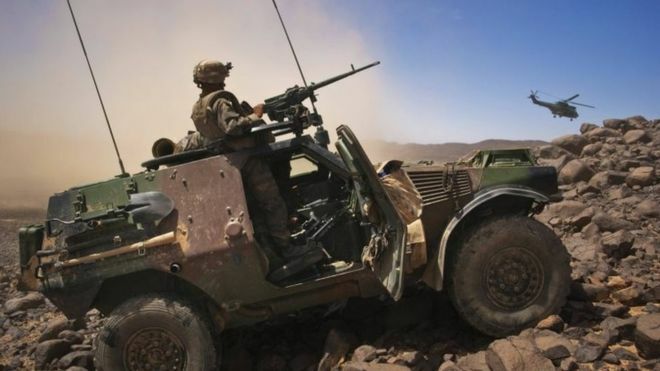 The doctor was killed when his vehicle hit a mine, bringing to 24 the number of French defense force members killed in counterterrorism operations in the region since 2013. Some 4,500 French troops are deployed in Mali, Burkina Faso, Niger and Chad in a mission codenamed Barkhane to help local forces try to flush out jihadi groups. The Gourma area is a haven for armed groups who hole up in dense forests along the border with Burkina Faso to the south, including a group suspected of carrying out several cross-border attacks. Around 700 French troops and 150 Malian troops took part in the air and ground operation against these bases, the military said. On the other side of the border Burkina Faso deployed troops “to prevent any attempt by the enemy to escape towards the south of the zone,” French military spokesman Patrik Steiger said. The operation first targeted the Foulsare forest in the southwest of Gao province, the military said. The French air force and commandos carried out preliminary strikes as dozens of French armored vehicles in Gossi joined a Malian base at Hombori, 80 km (50 miles) from the Burkina border, which served as a springboard for a joint ground attack. Troops found “a logistical base” containing rocket launchers and other weaponry, but no jihadis. “The enemy deserted the area when Barkhane arrived and did not seek to fight,” Steiger said. 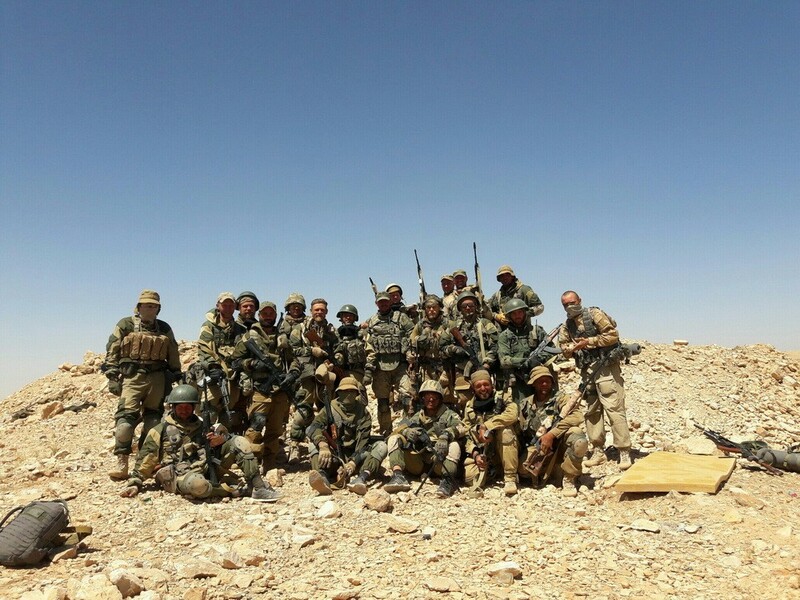 The second phase of the operation, which caused the losses on the jihadis’ side, targeted several sites including a training camp in the Serma forest, according to the military. A pick-up truck, a dozen motorbikes and arms and ammunition, including large amounts of material used to make roadside bombs were seized, the military said. Extremists linked to al-Qaida took control of Mali’s vast desert north in early 2012, but were largely driven out in a French-led military operation that began in January 2013. But huge areas are still in the grip of lawlessness, despite a 2015 peace agreement with some armed groups that sought to definitively stamp out the jihadi threat. Since then, jihadi attacks have shifted from the north towards the more densely-populated center of the country, where it has fanned the flames of local ethnic conflicts which date back years. Around 15,000 people have fled their homes in the central region of Mopti alone, according to aid groups. President Ibrahim Boubabar Keita, under mounting pressure to improve security, on Tuesday chaired a senior military panel focusing on the center of the country. Last Friday, at least 30,000 people marched in Bamako, the capital, to protest at the surge in the violence. Organizers estimated the turnout at 50,000. Also known as the Ekklesiyar Yan’uwa A Nigeria (EYN) in the Hausa language, the Christian group primarily resides in northeastern Nigeria, home to Boko Haram’s birthplace and primary stronghold. According to the Daily Post, Billi is urging Nigeria’s federal government to help EYN rebuild the church branches razed by Boko Haram terrorists since 2009. The EYN says Boko Haram has destroyed a total of 1,125 of its church buildings and other structures over the years of insurgency. These include its headquarters office complex, which has been rebuilt, a church auditorium which is yet to be fully reconstructed, and an adjacent pastor’s residential quarters where reconstructions work is yet to start. The reverend reportedly expressed anger as he discussed the destruction of his group’s worshiping centers on Tuesday during the 2019 Ministers’ Annual Conference at the EYN headquarters in northeastern Nigeria’s Adamawa state. For how long are we going to wait in vain? We are tired of fictitious promises. Are worship places not included in the rebuilding of the Northeast? Is Adamawa State excluded from the rebuilding of the Northeast? Why are we flagrantly neglected as if we deserve to be punished? If not for the inadequacy of our security forces and political undertone, Boko Haram would not have overrun us. So, why do we pay for the sin that was not committed by us? Christians, who mainly reside in the southern part of the country, make up nearly half (about 47 percent) of the population of Muslim-majority Nigeria. The latest World Watch List (WWL) by Open Doors, a group that monitors the mistreatment of followers of Jesus Christ across the globe, recently designated Nigeria (12th) as one of the top 15 worst countries for Christian persecution. “In parts of northern Nigeria, Christians are treated as second-class citizens. 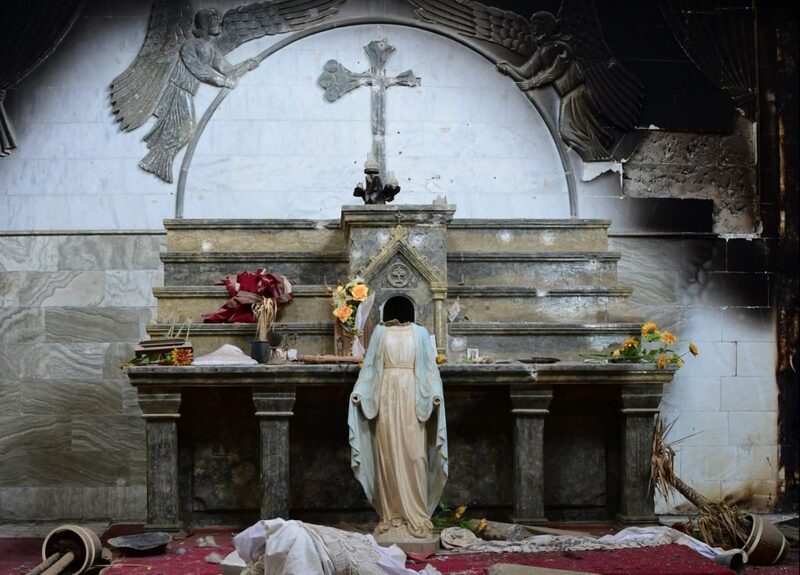 Christians from Muslim backgrounds face persecution from their own families,” the monitoring group noted. Some Boko Haram jihadis pledged allegiance to the Islamic State (ISIS/ISIL) in 2015, and in recent years, an ISIS-linked Boko Haram offshoot has been wreaking havoc in Nigeria, targeting Christians. “Islamic State West Africa Province (ISWAP), a deadly group that broke away from Nigeria’s Boko Haram … also enslaves Christian women and girls as an integral part of their strategy,” Open Doors noted. While Boko Haram remains a threat against Christians, Muslim Fulani herdsmen in Nigeria’s Middle Belt region have surfaced as some of the most lethal menaces facing followers of Christ in the African country. Last month, Dr. Benjamin Argak Kwashi, the bishop of the Anglican Diocese of Jos and archbishop of the Ecclesiastical Province of Jos in the Church of Nigeria, told Breitbart News that Fulani herdsmen represented a “bigger threat” to Christians than Boko Haram. Muslim-majority Fulani herdsmen and predominantly Christian farmers are clashing over access to land and other resources. In April 2018, the Christian Association of Nigeria (CAN) urged followers of Christ to rise and defend themselves, arguing that the capabilities of Boko Haram, herdsmen, and other groups exceed that of the nation’s security forces. Members of CAN reportedly attended Tuesday’s conference in Adamawa state. The Russian Foreign Ministry says private Russian companies are training the army in Sudan, confirming their presence in the African country being shaken by mass street demonstrations by opposition forces, like reported by rferl.org. Zakharova’s comments followed a story in the British press alleged that Russian mercenaries were helping Sudanese authorities crack down on the protests. Zakharova denied the press reports and said the “task” of the private security firms “is limited to training staff for the military and law enforcement agencies of the Republic of Sudan,” which is a close ally of Moscow. Street protests have been carried out daily since December 19. The rallies were initially in protest against shortages of fuel and commodities, but they have turned into a call for an end to the 30-year rule of President Omar al-Bashir. Britain’s The Guardian newspaper on January 23 reported that Bashir’s government was conducting an “alarming” crackdown on journalists covering the protests, with five reporters being held and dozens of others being detained before being released. The unrest is one of the biggest challenges to Bashir’s rule since he took power in a coup in 1989. Reuters news agency reported that official statistics from the Russian Federal Security Service show a substantial increase in the number of the Russian citizens who left for Sudan in late 2017. According to the data, some 200 Russians traveled to Sudan in the final three months of last year, far surpassing the previous peak of 76 in any three-month period. Sudan’s oil minister, Azhari Abdel Qader, said on January 23 that the country had received economic assistance from the United Arab Emirates and offers of support from Russia and Turkey during its economic crisis. “We accepted it as a normal matter between friendly countries in light of the current circumstances that Sudan is going through,” he said of the aid, adding that there were offers of “fuel, wheat, and other items” from Turkey and Russia. He did not confirm whether Sudan, a country of 41 million people, would accept the offers from Russia and Turkey. Private Russian military contractors have been reported in other countries, including Syria in support of President Bashar al-Assad’s forces. Rights monitors said that dozens of them were killed in clashes with U.S.-led forces, although details remain scarce. Cameroon says it is mobilizing troops along the country’s northern border with Nigeria and in the western English-speaking regions, following renewed attacks by Boko Haram in the north and separatists in the west, like reported by voanews.com. Cameroon’s military calls for troops to assemble at its headquarters in Yaounde ahead of major deployments. Defense Chief of Staff Lieutenant-General Rene Claude Meka said 2019 will see Cameroon fight for national unity and territorial integrity. He said they have re-mobilized the military to all trouble spots. Boko Haram, the Nigeria-based Islamist terrorist group, is again recruiting fighters in Cameroon and attacking our northern border, said Meka. Meanwhile, separatists fighting to create an English-speaking state have recruited mercenaries from neighboring countries to destabilize Cameroon, he said. Cameroon’s military says there is a Boko Haram resurgence on its northern border with Nigeria. It reports five attacks across the border and in the Lake Chad basin this month. 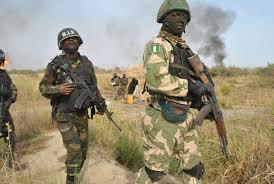 Last week three people were reported killed in the border town of Fotokol as troops repelled a Boko Haram attack. Separatist fighting also intensified in Cameroon’s two English-speaking regions in the northwest and southwest. The military said at least 45 rebels have been killed in the first three weeks of the year. Separatists say they are the ones killing the soldiers. Although the numbers cannot be independently verified, villagers have confirmed fighting has recently increased. Twenty-seven-year-old Elengu Noella said two of her three children were killed in heavy fighting around the southwestern town of Buea and she has not been able to find her husband. She said a Catholic Church Hospital ambulance helped her and four other women escape as a battle raged between Cameroon’s military and separatists. Separatists seeking an independent English-speaking state are accused of abducting and killing opponents and trying to make their regions ungovernable. Defense Minister Joseph Beti Assomo said President Paul Biya also ordered troops to Cameroon’s eastern border. He said spill-over from fighting in the Central African Republic has increased criminal activities. “2019 will not be a bed of roses. We shall continue with various operations in the far north, northwest and southwest regions, reactivation of special operations in the Adamawa region where criminal groups specialized in kidnapping are wreaking havoc and requesting for ransom,” he said. Isaac Sama is a political analyst at Cameroon’s Center for Peace and Development. He said while troop deployments to fight foreign invaders is justified, the government should attempt to negotiate with the separatists. Sama said more and more civilians are displaced by the fighting each time the military attacks the rebels. Cameroon says since fighting broke out with separatists in 2016, more than 1,200 people have been killed and nearly a quarter million displaced. 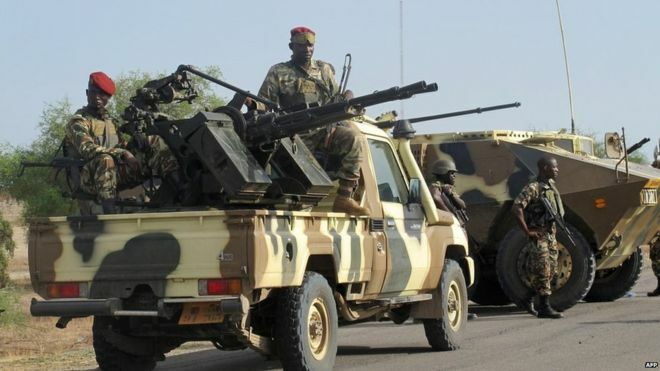 The Army said its troops have repelled Boko Haram terrorists during their attacks at Buni Yadi in Gujba Local Government Area of Yobe State, like reported by thenationonlineng.net. It said scores of the insurgents were killed during the encounter. A statement by the Assistant Deputy Director of Army Public Relations, Major Nureni Alimi, said four soldiers sustained injuries during the encounter. 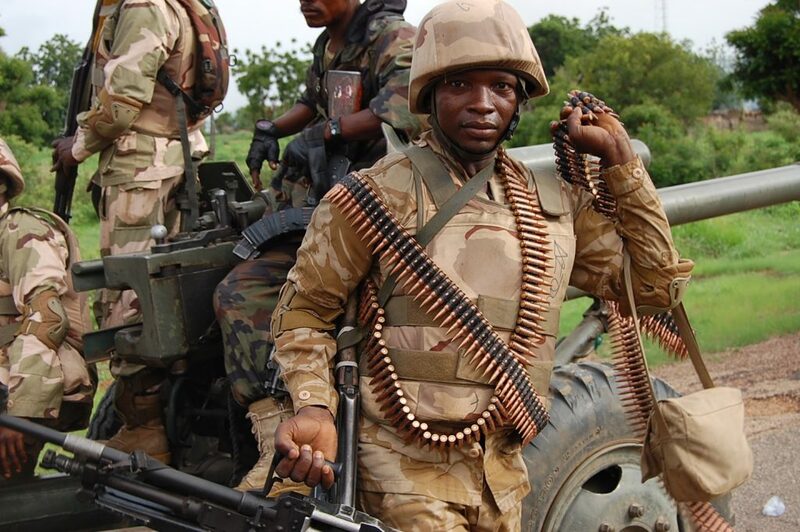 The statement said: “Troops of the 27 Task Force Brigade and Nigerian Army Special Forces School at Buni Yadi in Gujba Local Government Area of Yobe State successfully defeated Boko Haram terrorists that launched an attack on the military base. “The terrorists came to engage the Brigade around 4.15 p.m on Sunday, January 20, daring the troops for almost two and a half hours. The gallant troops stood their ground and thoroughly dealt with them. “Two gun trucks of the terrorists were collected from them and some of them were neutralised in the process while several others were seen taking to their heels with gunshot injuries. A cache of anti-aircraft ammunitions and bombs of rocket-propelled guns were also recovered. Ten United Nations peacekeepers were killed in a suspected al-Qaeda-linked terrorist attack upon a UN mission in Mali, like reported by upi.com. At least 25 others were also injured in the attack, the UN said in a media release, adding that the peacekeepers were Chadian nationals. On Sunday, an unknown number of terrorists attacked a base belonging to the United Nations Multidimensional Integrated Stabilization Mission in Mali, or MINUSMA, located in Aguelhok in the northern part of the West African country, the peacekeeping mission said. The attack, however, was controlled by MINUSMA forces who “responded robustly,” the UN said, adding that several of the attackers were killed. UN Secretary-General Antonio Guterres condemned the “complex attack” against MINUSMA in a statement issued by a spokesperson. “The Secretary-General calls on the Malian authorities, as well as the signatory armed groups to the peace agreement, to spare no effort in identifying the perpetrators of this attack so that they can be brought to justice as swiftly as possible,” the statement said. The mission added that those injured were evacuated to MINUSMA hospitals. “In close cooperation with its partners, MINUSMA will remain proactive and will not let this barbarity go unpunished,” he said. 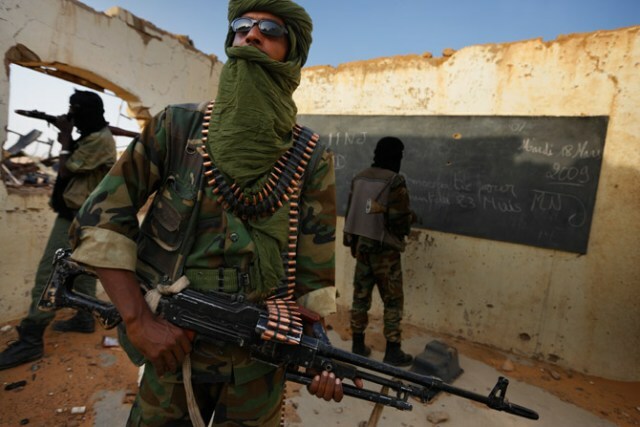 Al-Qaeda in the Islamic Maghreb, the northern African branch of Al-Qaeda, claimed responsibility, BBC News reported. MINUSMA is one of the most dangerous peace operations in the UN’s history, with 155 peacekeepers killed in Mali since it was established there in April 2013, the UN mission said. At least 10 people were killed by “terrorists” in northeastern Mali, including members of an armed group and civilians, a government official said on Wednesday. The attack took place around 45km from Menaka in an area which has been badly hit by jihadist violence that claimed several hundred lives in 2018, most of them civilians of Touareg or Fulani ethnicity. “At least 10 (people), fighters for the Movement for the Salvation of Azawad (MSA) and civilians were killed on Tuesday… by armed men,” the government official told AFP adding that “terrorists” were the suspected culprits. In a statement the MSA, part of a Touareg rebellion movement in the north, condemned the attacks. “At the end of the clashes, the assailants summarily executed around 20 people, including the elderly,” it said. The attackers “arrived on motorbikes… attacking an (MSA security) post,” added a local elected representative, giving a death toll of “at least 10”. France helped Malian forces stave off a jihadist insurgency that took control of large parts of the troubled north in 2012, but large swathes of the country remain out of the government’s control, despite a 2015 peace accord designed to isolate Islamist extremists. Since then, attacks have extended to central and southern regions of Mali and over the borders into neighbouring Burkina Faso and Niger. The theatre command, Operation Lafiya Dole has revealed that troops deployed in Operational Forward Base in Gajiram have successfully repelled Boko Haram invasion of the operational area in northern Borno, northeast Nigeria, like reported by dailypost.ng. 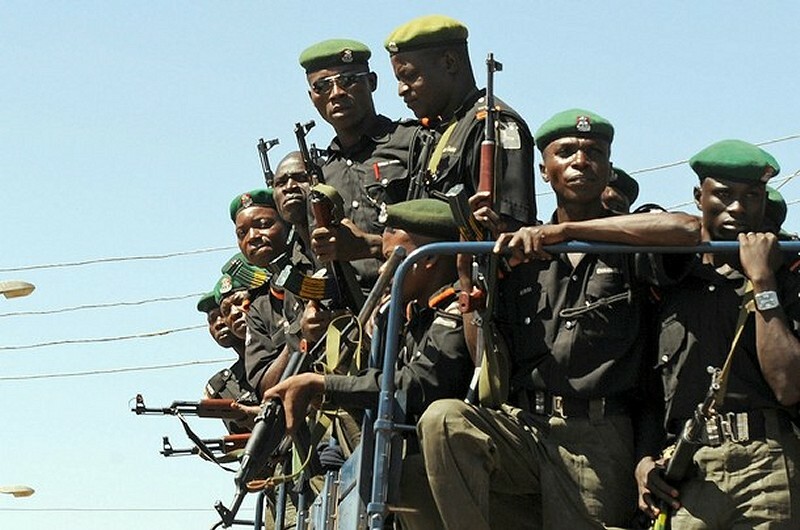 Nigeria’s military recaptured the northeastern town of Rann yesterday after it was overrun by Islamic State West Africa (ISWA) insurgents a day earlier, weeks ahead of an election in which security has become a key campaign issue, like reported by thisdaylive.com. This is coming as the National Emergency Management Agency (NEMA) said Monday evening attack on Rann by Boko Haram caused many to flee the town. Nigerian government forces and residents fled during the ISWA attack as the militants set buildings ablaze, but troops fought back and regained control of Rann yesterday, agency reports quoted military and police sources as saying. “Boko Haram invaded Rann at about 4 p.m (on Monday). The battle continued for about three hours. 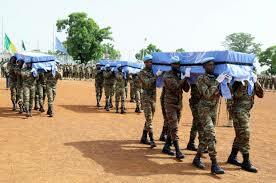 Our troops retreated and later returned to fight back,” said a soldier who spoke to Reuters on condition of anonymity. President Muhammadu Buhari came to power in 2015 on promises to defeat the Boko Haram Islamist insurgency aimed at creating an Islamic state in the northeast. ISWA, which split from Boko Haram in 2016, has launched a series of attacks in recent weeks, renewing debate about security in the run-up to elections on Feb. 16. In December, ISWA took the town of Baga – the Nigerian headquarters of a multi-national force formed by Nigeria, Chad, Cameroon and Niger to fight the extremists – and more than 30,000 people fled. The military launched a counter-offensive last week and retook the town, saying it had given ISWA a “bloody nose”. Meanwhile, the National Emergency Management Agency (NEMA) said attack on Rann by Boko Haram caused many to flee the town. He said Rann was hosting around 35,000 internally displaced people (IDPs), according to the International Organisation for Migration. He recalled that Rann had been repeatedly hit by insurgents attacks, which exacerbated the already dire humanitarian conditions on the ground. Minin said report revealed that the military base in the town was burnt by the terrorists, with locals and IDPs fleeing as the Islamist militants set fire on camps and shelters. He said “aid workers in Maiduguri said colleagues in Rann blamed ISWAP for the raid and people fled towards Bulale, on the Cameroon side of the border. “Four IDPs were allegedly killed. Several shelters were burned. They also looted food supplies in the town. Humanitarian operations in Rann were scaled down in March last year after an attack which killed three aid workers,” Minin said. 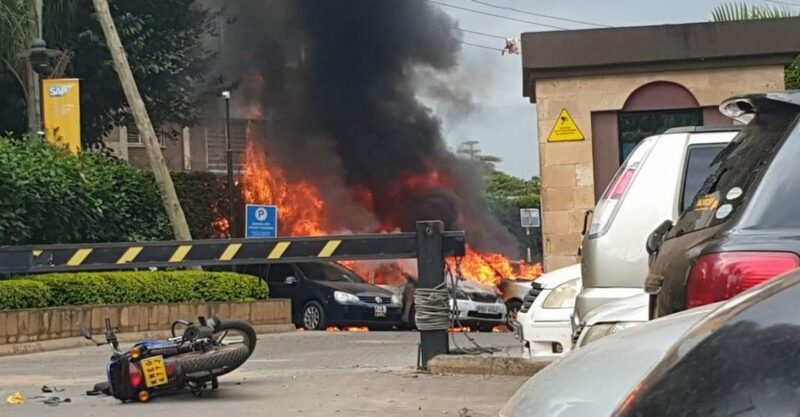 Gunfire and at least one explosion have been reported near a hotel and office complex in Westlands, an upscale neighborhood of the Kenyan capital, Nairobi, like reported by thedefensepost.com. It is currently unclear whether the incident is a robbery or terror related. Nairobi police commander Philip Ndolo said they had cordoned off the area around the dusitD2 hotel off Riverside Drive, Reuters reported. But police are not ruling out a militant attack, police spokesperson Charles Owino told Citizen Television. “All police teams have been dispatched to the scene where the incident is. As of now we are treating it as anything, including the highest attack,” AFP reported Owino as saying. “We wish to confirm that there has been an attack incident along 14 Riverside Drive. The area has since been cordoned off,” Kenya’s national police service tweeted. Images and video posted to social media purported to show the aftermath of an explosion and what sounded like gunshots.